Wake up at 7am, wake lethargic roommate up, have some light breakfast and start the walk to school. This walk was 1.5 miles one way, a great way to start the day! School 8am-12pm or so. Break around noon, walk back to the house, lunch and then Siesta! Siesta translates to ‘rest’ or “nap”, more or less. 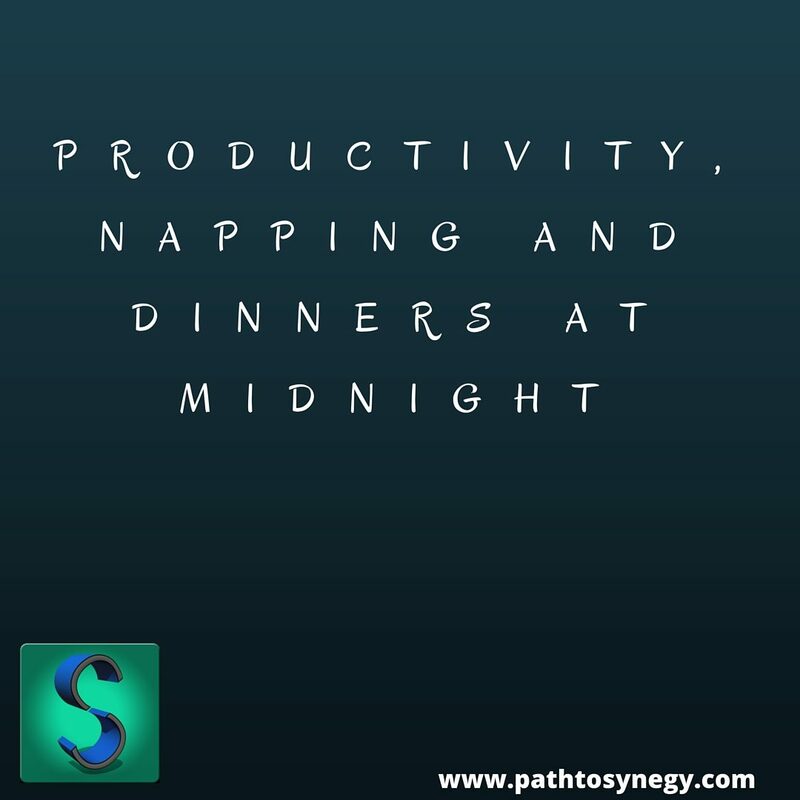 This is the time when the majority of activity slows down for a few hours and people just relax or sometimes actually take a nap. It’s wonderful! Wake up around 3pm, walk back to school and have class from 4pm – 7pm or so. The rest of the evenings were spent socializing and often would result in dinner sometimes not until 10pm or later, then more socializing and bed around midnight…..sometimes much later. According The National Sleep Foundation who references a study done by NASA on sleepy military pilots, it was found that a 40 minute nap improved performance by 34% and alertness by 100%. However, be mindful that the time of day, personal disposition and length of nap may increase or decrease its effectiveness. It may be best to experiment with napping in order to find the right fit. Whether it is napping, relaxing, going for a walk or finding some other way to decompress, there is value in taking a break. Having regular breaks in your day can help you to mentally, emotionally and physically re-charge, allowing you to be more effective with your time working. There is building research available to show that napping can improve long term memory and task performance. According to an article in the NY Times, there is some mixed research about how productive Spain is based on the schedule of including the daily siesta. While some research shows productivity is low, other research shows that Spain is more productive than many other European countries. There is currently some push to move to a more regular schedule, which some of the country already embraces. So why bring up this idea of the Siesta and productivity? I think it is an interesting example of how our lifestyle and culture impacts our experience. Certainly implementing the siesta in our western culture wouldn’t really fit, given the demands and cultural scheduling that we already have in place here. However, we do have the option of implementing other ways to improve self-care. One of the most consistent topics that come up with both groups and individuals that I work with, is the idea of a self-care practice. Practices look different for everyone but common themes include exercise, meditation, time with loved ones or a variety of other hobbies. What can you commit to for 10 minutes every day for the next two weeks that will help you to slow down, reduce stress or improve your ability to be present? What is one thing you can take out of your life for the next two weeks that you know distracts you? Not too long ago I wrote a post about self-care. This is an important concept related to managing stress, being effective, increasing productivity and as we learn today, improving intimate relationships. I recently met a new therapist in Asheville who I am happy to introduce today. Cindy Norton has an upcoming practice in Asheville, NC and she is already building a wonderful library of content. 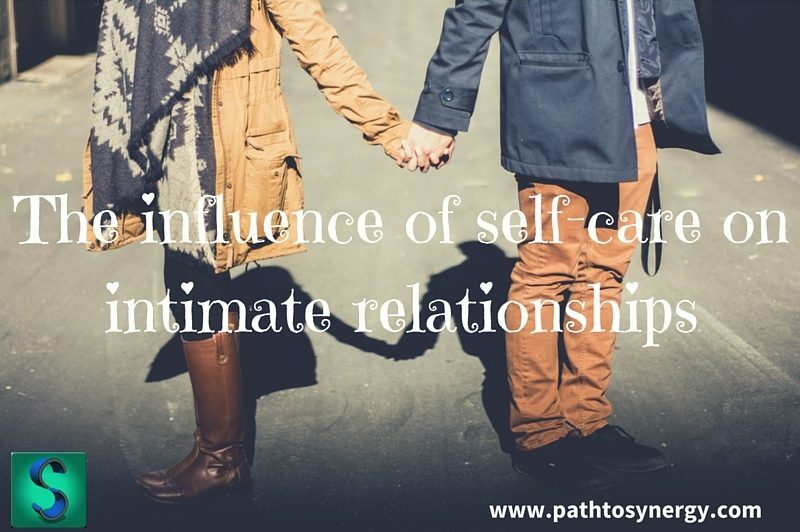 I’m happy to have Cindy write for the Path to Synergy Blog about the influence of self-care on intimate relationships. Thanks for the contribution Cindy! So, what exactly is self-care? Well, self-care is defined as any intentional actions you take on behalf of your physical, mental, or emotional health. Many people see self-care as you looking after and taking care of you. While this assertion is true, your decision on whether or not to engage in regular self-care has an effect on everyone around you including your coworkers, family, friends, and especially your intimate partner. Intimate relationships tend to suffer the most when one or both partners are not regularly practicing self-care. We tend to take on the moods of those around us; so if you both are tired, run down, and stressed out, your relationship is going to take a hit. During these times when stress takes over, conflict can reign supreme. Oftentimes, we do not seek out self-care until we are already run down, exhausted, and yearning to get back in balance. Self-care isn’t meant to be something you seek out on occasion when you have already reached your breaking point. Self-care is meant to be something that you do everyday like brushing your teeth. Does our physical, mental, and emotional well-being not deserve as much attention as our teeth? I think so. When we are pro-active in taking care of ourselves we become more rested, patient, and understanding. Additionally, we are much more available to our partners. This allows us to be supportive of one another and have each other’s backs. When you are in this balanced place you can keep an eye out for when your partner is stressed and encourage them to practice some self-care and vice versa. It’s likely that you may be able to notice (even before your partner does) that they need to take a time out. Find a gentle way to let your partner know that they seem a little stressed. It’s not going to be helpful if you approach them in a way that makes them feel defensive. Have a discussion with your partner about how they would like to be signaled when they are getting off track with their self-care. For example, if your partner enjoys walking the dog for self-care, you may say to them: “It looks like Scruffy could use a walk”. Or if you enjoy a bubble bath to relax, maybe your partner’s signal is offering to run a bath for you. Get to know what your partner enjoys and what relaxes them. But keep in mind, your partner’s self-care practices may look different from yours, so don’t judge. You may enjoy some solitude and want to curl up with a good book, while your partner goes over to a friend’s house to play cards. Both of these are self-care activities, but they look very different. Another important element to keep in mind is that taking time for yourself should not be seen as a threat to your relationship. Finding the balance between separateness and togetherness is an essential endeavor for anyone in an intimate relationship. 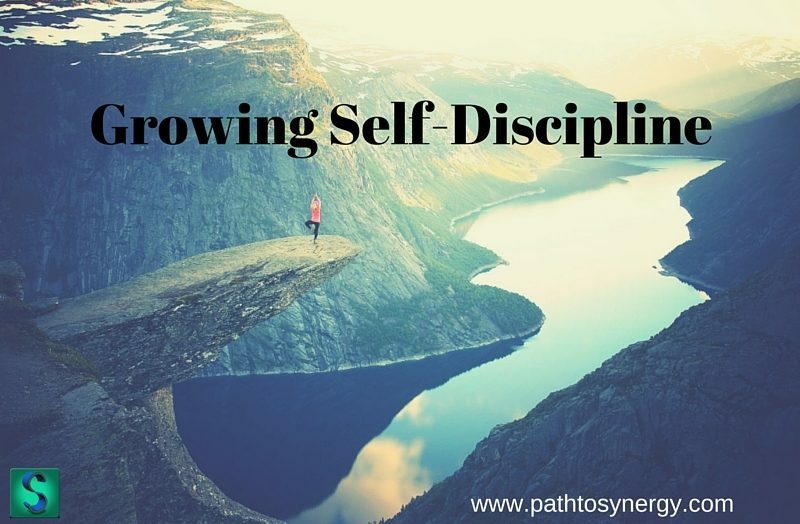 We need time to ourselves, and the freedom to pursue our own interests. It is healthy to take time away from your partner and allow yourself to miss them. Self-care activities are flexible in that they can be done solo or together. So tailor them to work for your unique relationship. Not sure where to get started? Below are some self-care activities that can translate into a better relationship with your partner. Also, see how regular, solo self-care activities can be adapted to include your partner. Journaling – A self-care activity that I have always enjoyed is keeping a gratitude journal. It’s very simple. Just write down three things you are grateful for each day. The entries can be something new and novel each day, or they can be repeats for the things you are especially thankful for – such as health and family. You can adapt this activity to include your partner by writing in your journal three things about them that you are grateful for – and then sharing this with them. The entries can include qualities that your partner possesses or specific events that stand out to you. For example, you may write: I am grateful for your patience, I am grateful for you taking care of me while I was sick over the weekend, and I am grateful that you attended a play with me when my friend cancelled last minute (because I know that you do not like the theater). Spending time in nature – I especially enjoy being out in nature. Many people spend time in nature by themselves as a form of self-care. Being one with nature can do wonders for your spirit. If you have a favorite spot with an amazing view, invite your partner along to share in the experience and tell them why this place is so special to you. Go on an adventure – Sometimes it is nice to go adventuring somewhere you have never been, especially when you have no agenda or expectations. This leaves you open to discover things that you wouldn’t normally had you planned the outing. Including your partner in the outing can enhance your relationship. Exploring with your partner, especially in a new and novel way, is an amazing way to strengthen your bond. Taking a bubble bath. It’s hard to beat a nice, warm, relaxing bubble bath after a long day’s work. Many people, myself included, enjoy the solitude and quietness of this activity. It gives you a chance to clear your mind, or catch up on your latest novel. However, by inviting your partner to join in, you both can enjoy the benefits of this very popular self-care activity. For a funny example of this from the show Friends, see this video – https://youtu.be/VHAQcnB7yis. Nurturing friendships. Taking time to nurture friendships outside of your primary relationship with your partner is extremely important. Set aside one day each week where you both spend time with a friend. I know someone who has reserved every Wednesday after work to spend with her best friend. They go downtown to a wine bar, order some tapas, and fortify their friendship. It’s also nice to nurture the mutual friendships you have. There are many group activities to choose from. I practice this by going to trivia with my partner and our mutual friends. Take some time to think about what self-care activities you are already practicing in your life. Do you schedule them regularly? Or are they practiced only sparingly because you feel that you are too busy? Sometimes people have the misconception that they do not have time for self-care. I’m sure most of you find time in your busy day to spend 20 minutes mindlessly scrolling through your social media feed. Why not use these 20 minutes to take a walk, go for a jog, take a bath, call a friend, or journal? Or, better yet, I challenge you to take 10 minutes out of your day today and come up with a self-care plan to cover the next two weeks. Make a list of the self-care activities you enjoy, and schedule time for them. For example, choose a small 10 minute activity to do daily (i.e. journaling) and choose a more time-intensive activity to do once per week (i.e. outing with best friend). When the two weeks are up, evaluate your progress and aim to incorporate the activities that work well for your life and your relationship. 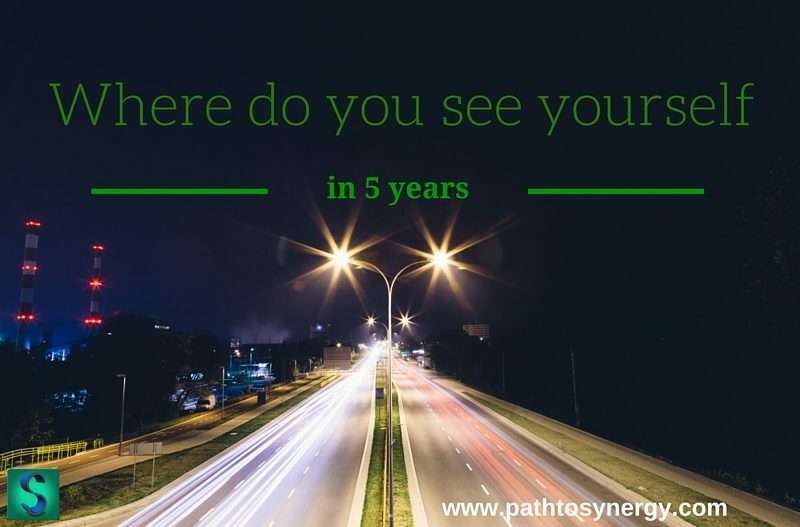 Cindy Norton is the Owner and Writer at AVL Couples Therapy, a new website launching on January 1, 2016 in Asheville, NC featuring the relationship blog entitled Unearth Your Passion. Before January please see https://www.facebook.com/AVLCouplesTherapy for updates. Cindy holds a Master of Science in Marriage and Family Therapy. She is a National Certified Counselor and a Licensed Marriage and Family Therapist Associate.